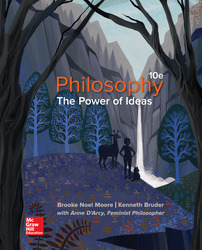 Now it its tenth edition, Philosophy: The Power of Ideas offers a comprehensive overview of Western Philosophy, Eastern Influences, Feminist Philosophy, and Postcolonial thought. Known for its engaging, conversational writing style, each chapter provides clear introductions to even the most difficult philosophical concepts and includes selected primary readings from some of the most important thinkers of all time. Throughout the book, the authors link philosophical ideas to historical developments that affect the lives of everyday people.